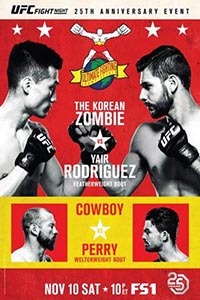 Yair Rodriguez: His jaw-dropping, show-stopping finish of The Korean Zombie will be a permanent fixture on highlight reels. Knockout of the Year for 2018 is a formality. Given the UFC's penchant for striking while the iron is hot, I can certainly see the matchmakers serving him up to the winner of next month's title fight between Max Holloway and Brian Ortega. However, he deserves more than being chum in the champion's shark tank. A fight against Jose Aldo, however, would be a worthwhile PPV co-main and a title eliminator with serious potential for violence. The former champ has lost a step, and he can be touched, but the question is whether Yair has the skills to do it. It's an easy sell, and an intriguing and relevant fight to boot. Book it, Sean Shelby! 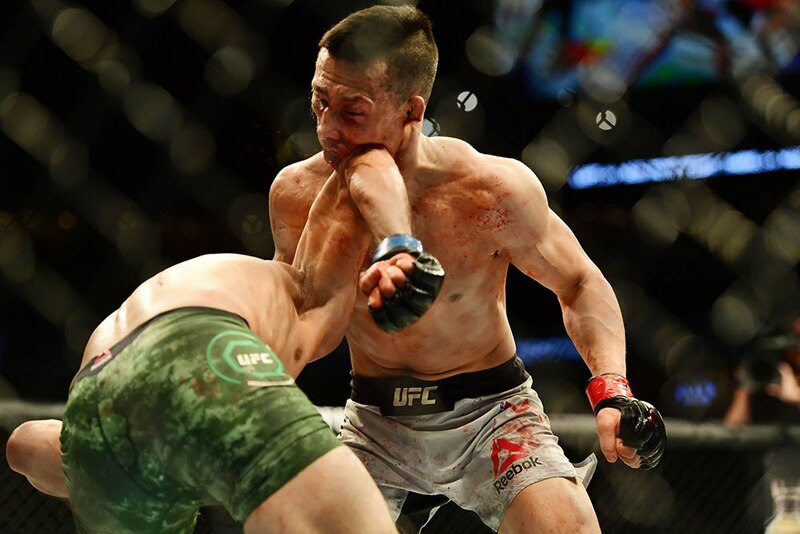 Chan Sung Jung: Before he was posterized by Rodriguez, the Zombie was putting the finishing touches on an entertaining and well-rounded performance where he showed poise in the face of unorthodox attacks. So despite ending up slumped face down on the mat, he should hold his head high, as the loss won't send him hurtling down the rankings. That said, after his injury suspension, he should get a softer touch with his return bout. I think the right dance partner is Charles Oliveira. “Do Bronx” is also willing to engage in wild brawls, but his striking salvos aren't of the caliber that will put the Zombie down. He does represent a danger on the mat, but KZ is no slouch there. All in all, it seems like easy bonus money and a chance to get back in the win column. Donald Cerrone: Cowboy put Mike Perry at the edge of his buzzsaw and then announced that is planning to chase lightweight gold. While I personally don't think he gets there, he creates the potential for some violence-laden action fights at 155, and I'm here for them all. Justin Gaethje already has a dance partner, and Tony Ferguson, Dustin Poirier, and Nate Diaz might be too close to title bouts (or a money fight with Conor McGregor, in the case of Diaz). But let's face it, with the names involved, *somebody* is going to drop out of a scheduled bout, and nobody's more available at late notice than Cerrone. So let's call him Mr. TBA -- violence is just a phone call away. UFC Fight Night 139: Korean Zombie vs. Rodriguez (formerly UFC Fight Night 139: Edgar vs. Korean Zombie) took place November 10, 2018 at Pepsi Center in Denver, Colorado.